Published September 2016. Complete and unabridged. 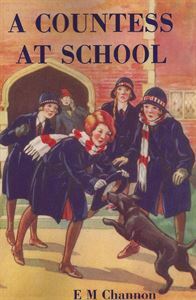 This is a very attractive and original story of a girls' boarding-school—full of incident. The chief character is not the "Countess," but another girl who at first is somewhat snobbish, being ashamed of her mother's excellent private hotel, and very keen on keeping all knowledge of it from the other girls. How she fails in an attempt to ingratiate herself with the supposed "Countess" is related by the author in a way which cannot fail to appeal to any schoolgirl.